Pictured, Florida woman, Makeva Jenkins who was shot hours after a Facebook post extolling her riches. Pictured, Lake Worth, Florida woman, Makeva Jenkins who was shot hours after a Facebook post extolling her riches. 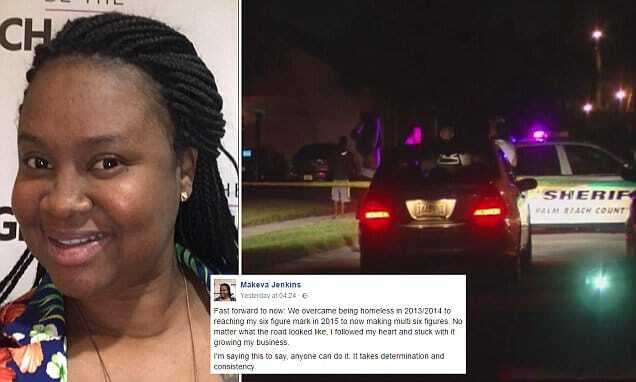 Makeva Jenkins a Lake Worth, Florida woman is killed just hours after a Facebook post extolling the virtues of hard work and her rise to riches after being homeless. 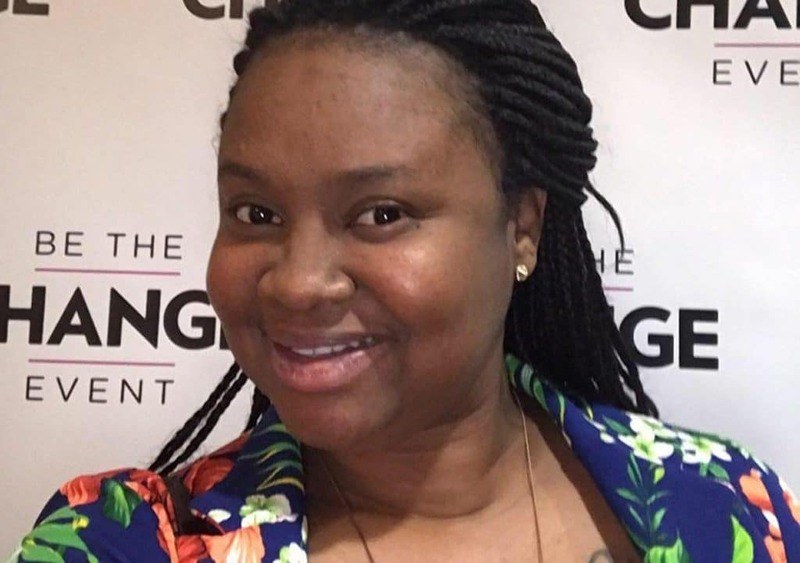 Makeva Jenkins a 33 year old Lake Worth, Florida woman has died after inuring a single bullet to the head inside the family home just hours after posting on Facebook her sudden riches. The mother of three’s murder came circa 2am Thursday morning as a male intruder wearing a ski mask entered the home reported the Palm Beach Post. Ironically the woman’s death came after having penned a Facebook post detailing her journey from homelessness to earning multiple six figure sums in just two years. While Palm Beach police have yet to say if the Facebook post was directly attributable to the woman’s death, relatives of the slain woman believe it to be the case. The mother of three had uploaded her post circa 11.30pm Wednesday, writing that she was ‘in awe of how far I’ve come’. The post was accompanied by a photo of a previous conversation she had with a friend about financial management courses being offered for $99. She said: ‘This lady reached out to me about my business plans. We’ve been Facebook friends for years but the last time we spoke was 8/2011. ‘In this message I was inquiring about Dave Ramsey’s Financial Peace University offered through her church. I couldn’t even afford $99 at that time. ‘Fast forward to now: We overcame being homeless in 2013/2014 to reaching my six figure mark in 2015 to now making multi six figures. ‘No matter what the road looked like, I followed my heart and stuck with it growing my business. It wasn’t immediately clear what led to the woman sharing such sensitive personal information; whether to inspire others, or boast, or whether it might have been perceived as such by others? Two hours later, around 1.30am Thursday morning, a man wearing a ski mask broke into her home at 4104 Plumbago Place through the garage, reported CBS12. The intruder held the three adults inside, including Jenkins, at gunpoint along with the three children, aged one, seven and 13. One of those who was inside said they convinced the gunman to let the children leave. After the children had left, the gunman ordered the remaining adults to lie on the floor, before he shot Makeva Jenkins in the head. Despite being rushed to hospital the woman mortally succumbed to her injuries. At the time, the gunman fled in the family vehicle, before dumping it nearby, and is now on the run. It is thought that the gunman is likely a Facebook friend of the victim and had lived nearby. A second Facebook post on Jenkins’ page, uploaded by a loved one later on Thursday, read: ‘Regretfully, the news reports are true. Since being uploaded it has attracted thousands of expressions of sympathy, along with hundreds of condolence messages. According to her LinkedIn page, Makeva Jenkins made her money running The Prime Enterprise Group, a consultancy firm which helps create business plans for small and medium sized companies. Makeva Jenkins wed husband Euri in 2011, records show. ‘It’s a great family and I’m just lost for words for what happened,’ Ms Clarke added. Jenkins was just weeks away from starting her “5-Day Business Plan” digital seminar. The week-long seminar was going to help aspiring entrepreneurs build business plans, budgets and market strategy. ‘Join me for 10 hours of cutting edge business plan preparation designed to help you grow your business. Your business plan can be used for operating or to secure funding,’ she wrote on the site. Welcome to a brave new America where publicly relishing about one’s hard work and new found success and willingness to share can lead to one’s immediate unwitting demise and how….